Although the brown bear is one of the most recognised symbols of the Os Ancares mountain range, the truth is that this space of enormous environmental value also has an interesting history with a beautiful white deer as the protagonist. 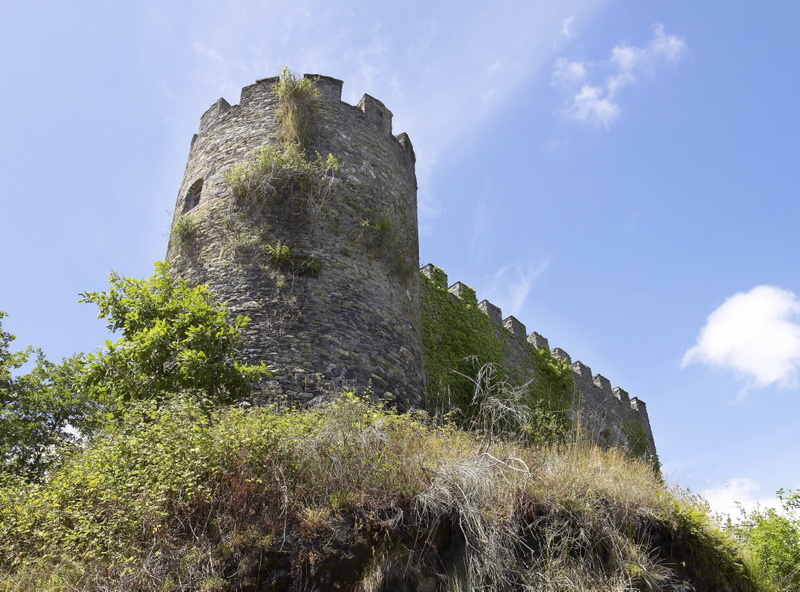 In the municipality of Cervantes, in the province of Lugo, emerges one of the symbols of the area and scene of such a legend, the Castelo de Doiras. 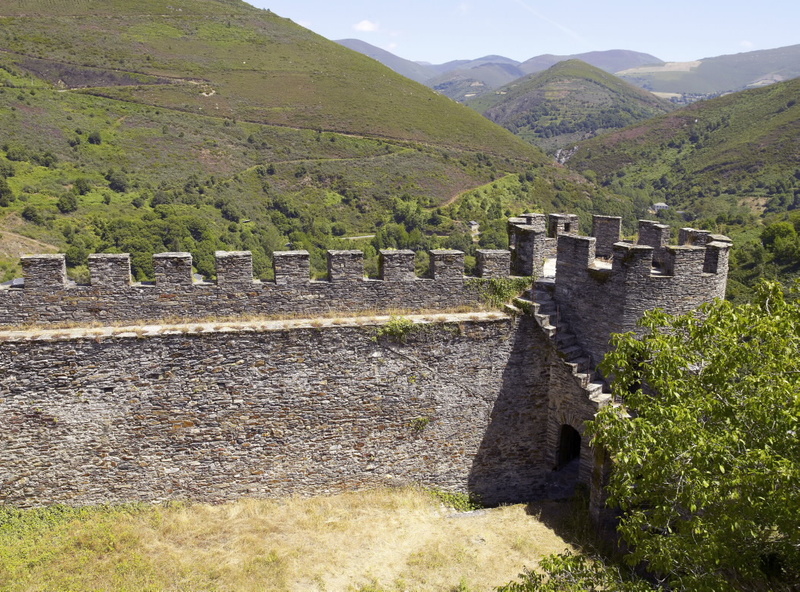 Almost like a fairy tale, this ancient medieval fortress, declared an Asset of Community Interest, emerges from the surrounding forest and offers a magical snapshot for its visitors. In spite of being in a state of abandonment, it still preserves its beauty intact. A castle, in the heart of Os Ancares, which stands on a rocky area at an altitude of about 750 meters and is guarded by the slopes of the mountains. Its construction, which is estimated in the fifteenth century, it is a work of rectangular plan with walls of two meters thick -approximately- that vary in height due to the unevenness of the terrain. In addition, and although it is already an imposing building, the fort has two towers, one circular and the other, the Homage Tower, which is almost fifteen metres high. Without a doubt, an architectural legacy that awakens the attention and the memory of the legend of the deer maiden, a story that Manuel Amor Meilán made known in the Lugo volume of the ‘Geografía general del reino de Galicia‘ (General Geography of the Kingdom of Galicia). 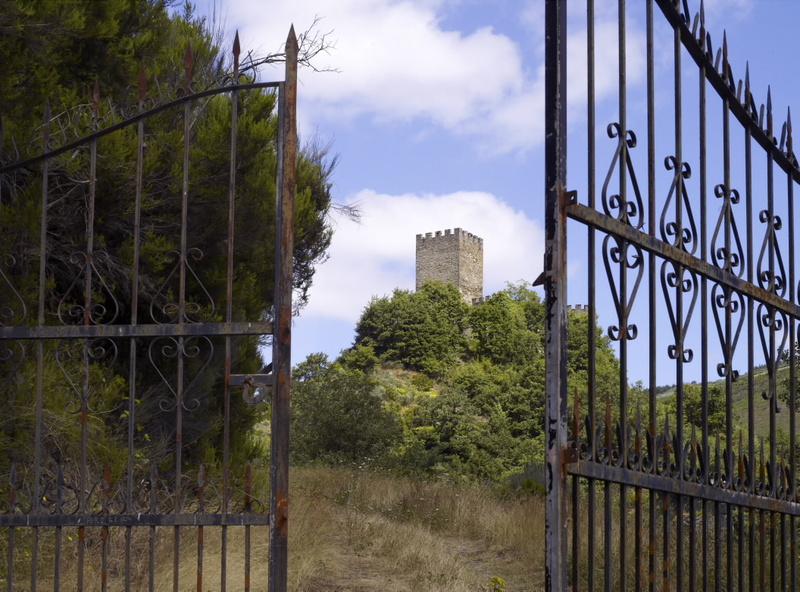 Legend has it that, many years ago, a gentleman known as Froiaz and his two sons, Egas and Aldara, lived in Castelo de Doiras and that one day, after the announcement of the engagement and marriage between Aldara and the son of another feudal lord, Aldara disappeared. As soon as they notice her absence, both her father and her brother look for her tirelessly in every corner of the castle until a crossbowman claims to have seen her heading towards a nearby stream. At that moment father, brother, staff of the castle itself and the girl’s fiancé, undertake an exhaustive search through the mountains of the place. Hours and days pass and Aldara doesn’t show up. Discouraged and with no results, after so many days on their trail, they take for granted the loss of the lord’s daughter. It was very likely that the nights in the forest were too hard for a young noblewoman. But, years later, Egas sees a beautiful white deer pass by while he was hunting on top of the mountain. Without thinking too much, with a single shot he manages to end the animal’s life. Marveled at the beauty of his coat, the young man had not thought of how to carry such a weight to the castle without help and decided to return in search of reinforcements. However, before returning he decided to cut off one of his front legs to keep a kind of trophy that would give credibility to his feat. The surprise was that the moment Egas shows his father the deer’s leg, they find a hand with a thin, white complexion and the family ring. Displeased, father and son remembered that ring belonged to Aldara and they leave to the place where Egas had hunted the deer. There they found Aldara’s lifeless body, with a white dress and a large stain of blood on the heart. The efforts of father and son to look for some kind of explanation were in vain. It is said that a fairy turned it into a deer and death took charge of returning it to its natural state, although the cause of this spell was never known.